Successful approach in interacting with the world and region is one of the achievements of the National Unity Government; and critics acknowledge that Afghanistan's foreign policy has gained favorable results over the past two years. “Foreign Policy” means following the course and practices set for interacting with the affairs and issues related to outside the country in order to preserve its soverignity, defend its survival and ensure its interests. Foreign policy may include political, economical, military, legal and cultural areas. Afghanistan’s foreign policy, like any other country, is consisted of two parts, constant and variable. “Constant” and “variable” are two main dimensions of foreign policy. The constant dimension of the foreign policy represents the element of continuity in foreign policy and the variable aspect demonstrates the transformations and changes. The goals and principles of foreign policy enshrined in the Constitution are changeable, therefore, government is responsible for their realization. However, the objectives of foreign policy constantly fluctuate between the maximums and minimums and with little moderation it is usually placed on the axis of "minimum of maximums" or "maximums of minimum". Ensuring national security, preserving independence and unity, reaching self-reliance and economic prosperity, improve country’s international status and…are considered constant objectives of the foreign policy. Curbing country’s geo-political and geo-strategic challenges and transforming them into the opportunities for interaction with regional and trans-regional countries; based on the commercial and economical rules, utilizing the geo-economic location as geographical highway of energy and as connector of regional countries; staving off geo-cultural threats as connecting hub of regional and trans-regional cultures, [national] identification and independence are considered as tools for achieving the abovementioned objectives by National Unity Government. 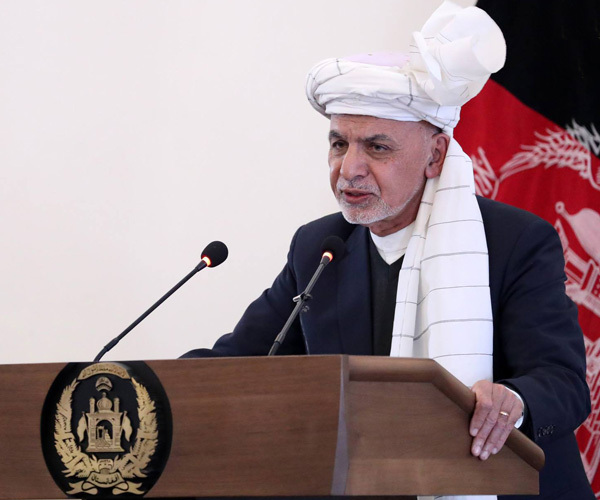 This article only focuses on explaination the Constitution and the perspective of the President of Afghanistan regarding the foreign policy’s objectives and principles of the country. The state shall regulate the foreign policy of the country on the basis of preserving the independence, national interests and territorial integrity as well as non-interference, good neighborliness, mutual respect and equality of rights. No citizen of Afghanistan accused of a crime shall be extradited to a foreign state without reciprocal arrangements as well as international treaties to which Afghanistan has joined. The State shall guarantee the rights and liberties of foreign citizens in Afghanistan in accordance with the law. These people shall be obliged to respect the laws of the state of Afghanistan within the limits of the provisions of international law. According to the above principles, government is required to consider them while formulating foreign policy strategy of the country and for their realization take necessary measures. 1. The President: The President as the head of the State, is the upmost authority according to Article 64 of the Constituion, has the authority to supervise the implementation of the Constitution and determine the fundamental lines of country’s policy (including domestic and foreign), however, after the approval of the National Assembly. According to Article 64 of the Constitution, the recommendation of ministries, including minister of Foreign Affairs (Art.64/Chpt.11), dispatching of armed forces units outside of Afghanistan endorsed of the National Assembly (Chpt.6), appointing the heads of political representatives of Afghanistan to foreign States as well as international organizations (Chpt.14), accepting the credentials of foreign political representatives in Afghanistan (Chpt.15), issuing the credential letter for concluding intergovernmental treaties in accordance with the provisions of the law (Chpt.17) All the abovementioned instances can be considered President’s authorities and responsibilities in the foreign policy’s affairs. 2. 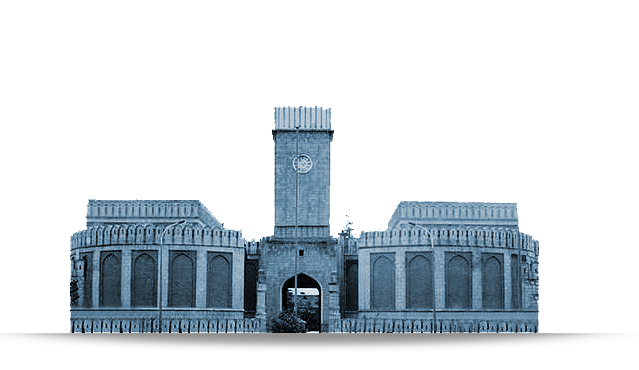 National Assembly: According to Article 81 of the Constitution, the National Assembly of the Islamic Republic of Afghanistan, as the highest legislative organ, shall manifest the will of its people as well as represent the entire nation. Every member of the Assembly, when voting, shall judge according to the general interests as well as the supreme benefits of the people of Afghanistan. A-Direct: Determine the fundamental lines of the policy of the country (Art.64/Chpt.2) and ratification of international treaties and agreements, or abrogation of membership of Afghanistan in them (Art.90/Chpt.5) are considered as the authorities of National Assembly. B-Indirect: Approval of the State budget as well as permission to obtain or grant loans (Art.90/Chpt.3) and decide about elucidation session from each Minister, including minister of foreign affairs, about foreign policy in accordance to (Art.91/Chpt1) of the Constitution, the National Assembley can play effective role in country’s foreign policy. 3. Executive branch/Government: The Government shall be comprised of Ministers who work under the chairmanship of the President (Art.71). According to (Art.75) the Constitution, Execute the provisions of this Constitution, other laws, as well as the final decisions of the courts (Chpt.1), Preserve the independence, defend the territorial integrity and safeguard the interests and prestige of Afghanistan in the international community (Chpt.2) are the duties and responsibilities of this branch. In addition, the government for implementation of country’s fundamental lines of policy and regulation of its duties, in accordance to the country’s laws, issues and ratifies the regulations that include codification and implementation of foreign policy. Particularly, the implementation of foreign policy is one of the fundamental duties of Ministry of foreign affairs. However, the Ministry of foreign affairs is not mentioned as the decision-making body of the foreign policy in the Constitution. Whatsoever comes under the domain of responsibility of Foreign Affairs Ministry are included controling, oversighting, establishing of relations and opening of representatives as well arranging and gathering of information for foreign policy decision makers. The implementation of fundamental lines of foreign policy inshrined in the Constitution, in reality, should lead to the objectives and outcomes that provide and ensure welfare, prosperity, independence, unity and respect for the people of Afghansitan, and similarly, the government and country’s diplomacy are tasked with implementing these objectives. The ongoing proxy war, approaching Afghanistan as ‘Strategic Depth’ by some of the world powers and countries in the region, the geo-political location of Afghanistan, influx of several terrorist groups and organizations inside the country with different motives and goals, and… are the factors which have transformed the country’s national security one of the outstanding foreign policy goals. The regional integration policy considered as a fundamental principle in the foreign policy and it can transform the geographical context of Afghanistan into a political-economic geography, based on that, the country can become a connecting point for East, Central, South and West Asia (6) Translated and can move rapidly towards economical growth and prosperity. Over the past two years, “the foreign policy of NUG is concentrated on transforming the first view with the second one” (15) “the focused efforts aimed at solidifying the role of Afghanistan as the Asia’s roundabout.” (16) The country had extensive achievements in this regard. The foreign policy of Afghanistan based on the principle of regional cooperations; it is due to “our geopolitical location provides from one side, an unavoidable passage between Central Asia and South and South East Asia, from other side, our neighborhood to Middle East offers most favorable location for the country. Afghanistan’s foreign policy towards its neightbors, region and world rests upon the principle of good neighborliness, non-interference in each other's internal affairs and respect for national sovereignty. In addition to our regionalism approach, this policy is of significant structural importance due to its close relation and more direct impacts on political, economical and security issues. As long as it relates to Afghanistan, we are bound to continue and strengthen the existing context for achieving our national interests. Preventing these strategic threats in the region, Afghanistan believes that “political disagreements must be dealt with politically” (27) and no country is allowed to interfere in the affairs of other countries. The foreign policy of Islamic Republic of Afghanistan based on stregtheing the bond between Islamic countries by resorting to bilateral and multilateral relations. Having historical and civilizational links with the Islamic countries is a fact that unavoidably had formed one of the ‘invariables’ of our country's foreign policy. Thus, the unbreakable bond with the Islamic civilization will be one of the sustainable factors of our foreign policy. Accordingly, the Afghan foreign policy as far as possible, maintains balanced relations with the global and regional powers. Afghanistan both in its domestic and foreign policy, “… abides by international conventions and the rule of law. We are staunch supporters of the Universal Declaration of Human Rights, which is firmly embedded in our constitution, obliging the state to achieve these rights for our citizens”(49)Translated; because “Our Islamic values and our constitutional text have placed great value on human rights. Our religion and Constitution hold humandkind in high esteem, as humankind.”(50) Therefore, Afghanistan in its foreign and dosmestic policy adhere to this principle and strongly stress on its compliance and implemention.